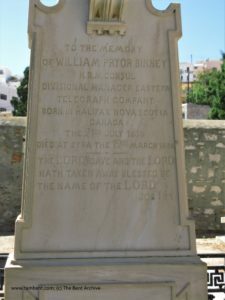 William Binney’s grave in the Westerners’ cemetery, Syros (detail) (The Bent Archive). Stephen Binney (1805–1872), William’s father (from ‘Genealogy of the Binney family in the United States’, 1886). The first Binney to surface, one captain John, of Nottinghamshire, set sail with his wife Mercy in 1678 or 1679, for Hull, Massachusetts. There, with John now a ‘fisherman’ and ‘gentleman’, the couple (with their six children) became the ‘ancestors of almost all of the name’. 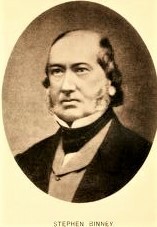 In the 19th century one of their descendants, Stephen Binney (1805–1872), a merchant of Halifax, and later first mayor, married Emily Pryor (1808 and still living in 1884); the couple had seven children, one of whom was our William Pryor Binney and Mabel remembers him for posterity as ‘kind’. As Halifax mayor, in early 1842 Stephen made the long Atlantic crossing to London with a message of congratulations on behalf of the city to Queen Victoria on the birth of her son (later King Edward VII). 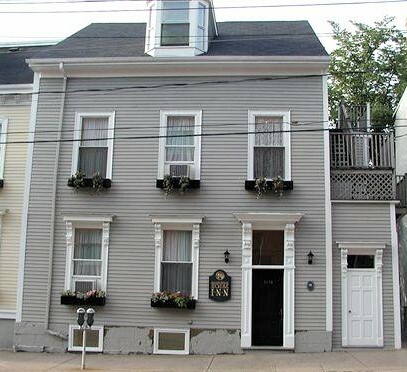 During his extended absence his business affairs at home suffered and he sought new opportunities, buying property near Moncton (New Brunswick). From his new base, Stephen Binney set up a successful wharf and shipyard, making a new start as a wholesaler, trading in timber and agricultural produce. With its access to the Bay of Fundy, and William’s father thrived as a merchant ship-owner, with a vessel that bore his own name, the ‘Stephen Binney’. It was Stephen’s father (William’s grandfather), Hibbert Newton Binney, who forged links initially with the Pryors, when the two families cooperated on the building of a fine house in Halifax in 1831, and which H.N. Binney then bought outright in 1834. The ‘Pryor-Binney House’ still stands at 5178 Morris Street, Halifax. One of William’s brothers was Moncton’s head of Customs, Irwine Whitty Binney (b. 1841). 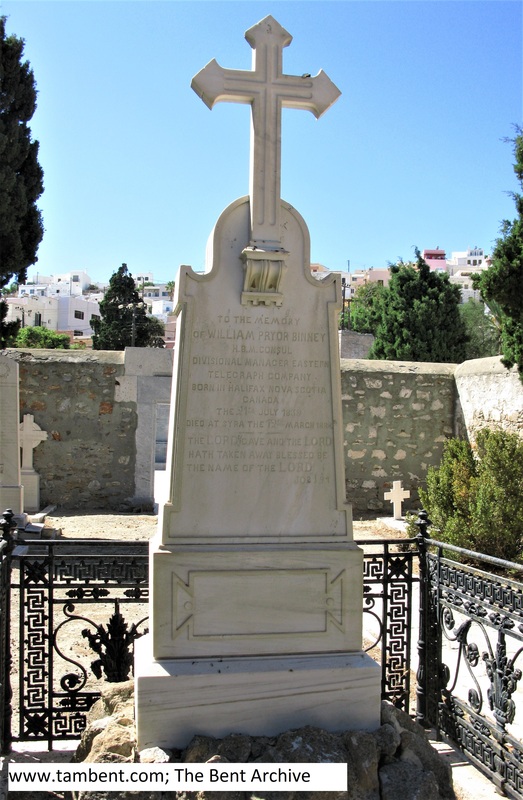 It was probably Irwine, as prosperous clan head, who supervised in some way William’s funeral in 1888, in the quiet Westerners’ cemetery on Syros. 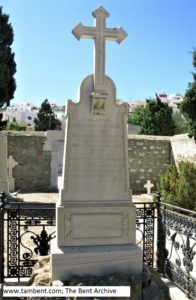 William’s widow, Πολυξένη, being Orthodox, probably rests in the Greek cemetery a few 100 metres away. We don’t know when the couple married (1860s? ); Polyxena’s father, George Paterakis, was from Constantinople, and probably of some standing. The Binneys had had no children by 1873. The former premises of the Eastern Telegraph Company, Syros, now the Merchant Marine Academy of Syros for Marine Deck Officers. And of William’s career? And how he came to Syros? Follow the money. William, as part of a very well-to-do and successful extended family who made their livings from commerce, merchant-shipping and the sea, was clearly ambitious to compete and strike out on his own; and quite prepared to travel and leave traces of his own. By the mid 1880s maritime nations were being linked by the invention of undersea cable-telegraphy, and the needs of the British Empire provided a booming market for companies in this sector. One of these was the Eastern Telegraph Company, a consolidation, in 1872, of a dynamic group of telegraphy businesses, involving some 23,000 miles of cabling by the late 1880s. This enterprise, of course, morphed eventually into today’s Cable and Wireless plc. 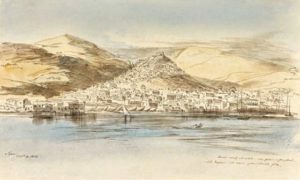 A pivotal routing and operations hub for the Eastern Mediterranean, and British interests East, was based on Syros, and its capital, Ermoupoli, the main ‘port’ for all (‘new’) Greece before the growth of Pireaus around 1900. It was plain commercial sense that the Eastern Telegraph Company’s regional cable station and depot should be built on a (then) disconnected rock (Νησάκι), a hop from Ermoupoli’s seafront. The solid building (which probably housed Binney’s consular office too) still stands and now houses the island’s Merchant Marine Academy. 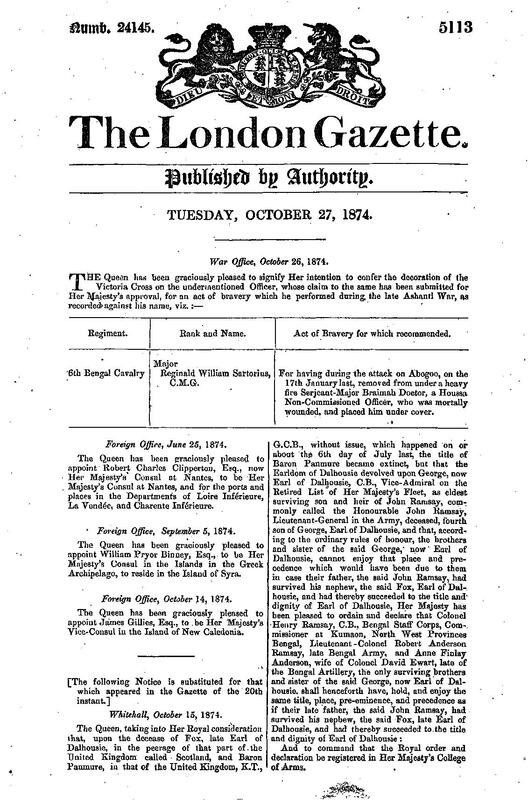 Announcement of William Binney’s appointment as ‘Her Majesty’s Consul in the Islands in the Greek Archipelago’ (‘The London Gazette’, 24145/5113, Tuesday, October 27, 1874). 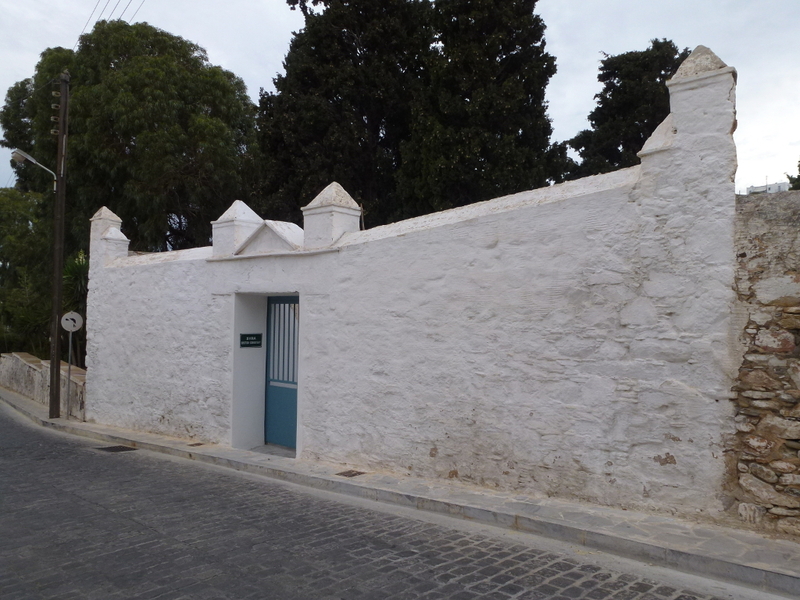 William Binney held the important post of general manager for ETC’s Syros hub by 1883 at least, if not earlier; it is recorded that he had already been an employee for 25 years by around that date. His skillset obviously included diplomacy, and in 1874 we learn that “the Queen has been graciously pleased to appoint William Pryor Binney, Esq., to be Her Majesty’s Consul in the Islands in the Greek Archipelago, to reside in the Island of Syra [Foreign Office, September 5, 1874. 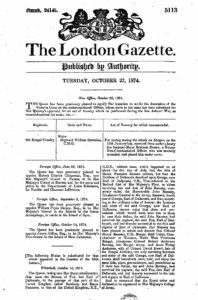 The London Gazette, 24145/5113, Tuesday, October 27, 1874, and ‘The Morning Post’ of Wednesday, October 28, 1874]. Presumably this appointment helped Binney acquire his gongs, i.e. “the title of Chevalier from the King of Greece and decoration of the order of the Saviour and order of the Iron Cross, from the Emperor of Austria.” His duties would have included looking after his country’s interests and personnel in the region and reporting on the activities of potential rivals. Copies of communications between William and the UK Foreign Office can be found in the FO Volumes of the British Consuls in Greece, in the National Archive, Kew (i.e. 1881 FO 32/534; 1882 FO 32/546; 1892 FO 32/644; 1893 FO 32/653). And as well as all this, Mabel Bent refers to William as not only fastidious, but ‘kind’ (she adds ‘so’ and underlines it). Theodore Bent met Binney first in Athens, in late November 1883. He became a friend it seems as well as Consul, providing the Bents with information and letters of introduction to contacts in the Cyclades generally. Theodore at this time was not particularly influential and it seems that Binney was being helpful to a British citizen as part of his consular duties. One of the contact names he slipped into Theodore’s pocket was Robert Swan, a Scottish miner on Antiparos. Swan was later to be central to Bent’s expedition to ‘Great Zimbabwe’ for Cecil Rhodes in 1891. But by then Binney was dead. 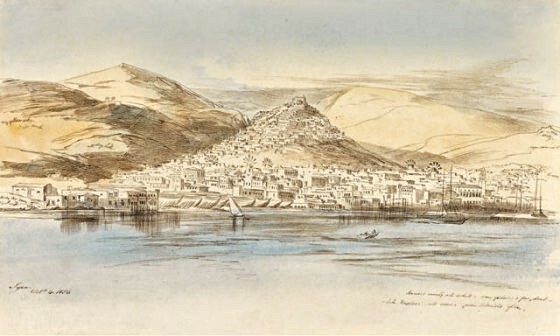 A watercolour of Syros in the mid 19th century by Edward Lear; ‘that sparkling pile’ he called it. The Syra British Cemetery, Ermoupoli, near the junction of Taxiarchon and Katramadou, on the way to Ano Syros (photo: Alan King). 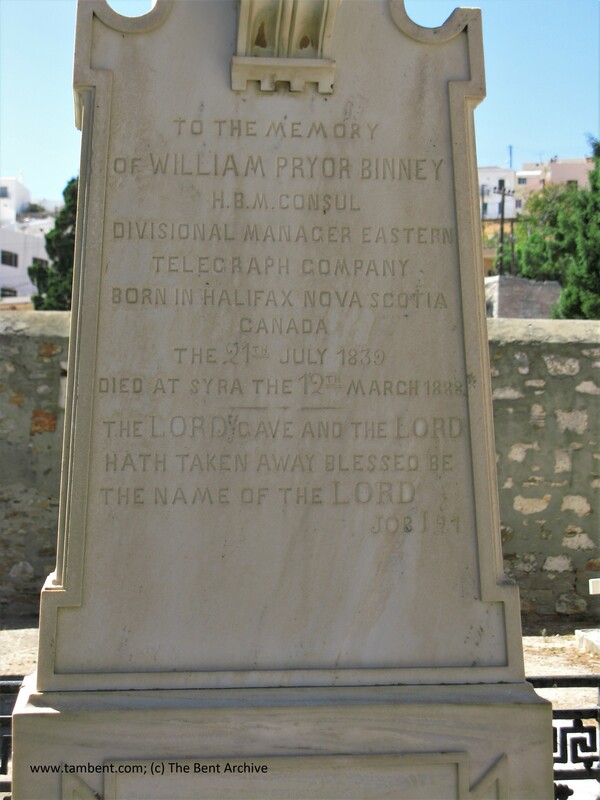 William Binney’s grave in the Westerners’ cemetery, Syros (The Bent Archive). Kind William Pryor Binney died 16 days after Mabel’s last reference to him, on 12 March 1888, of what she doesn’t say. (Appropriately, the new British Cemetery behind where he lies takes in the scattered Commonwealth war burials from the islands of the Cyclades.) He was not yet 50. Another William took over from him as Consul at Syros, W.H. Cottrell. People come and go; everyone travels; everyone leaves traces of their travels. Previous Previous post: Matthaios Simos – Anafiot dragoman extraordinaire!